An Elk Grove man is in custody at the Sacramento County Jail after he allegedly violated a restraining order. Just before 8:30 a.m. on Monday, April 1, Daniel Wagner, allegedly tried to force entry into a residence. Responding Elk Grove Police officers located Wagner who displayed signs of impairment. 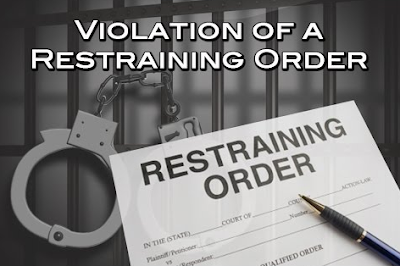 Records revealed that Wagner had a restraining order that prohibited from being at the residence. Wagner is held on domestic violence, burglary, and misdemeanor violation of a restraing order and will be arraigned on Wednesday, April 3.